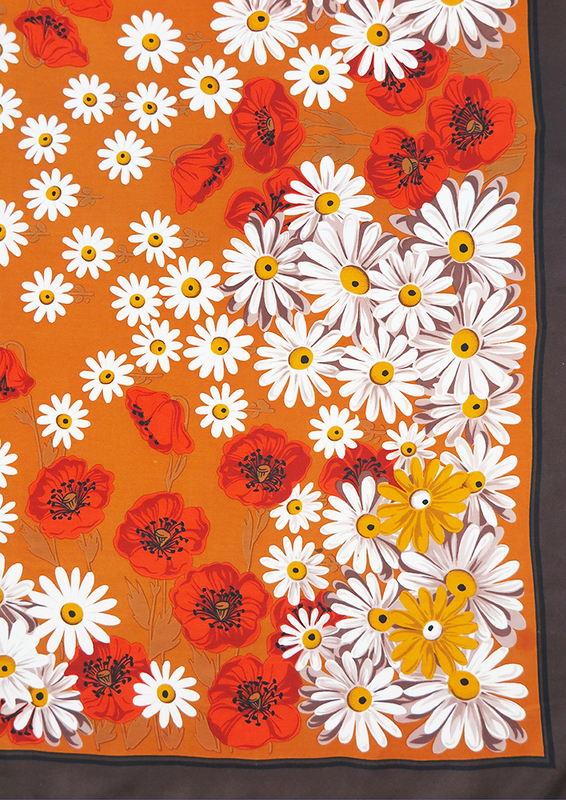 Vintage 1970’s ochre and brown edged square scarf with an array of intermingling daisies and poppies. 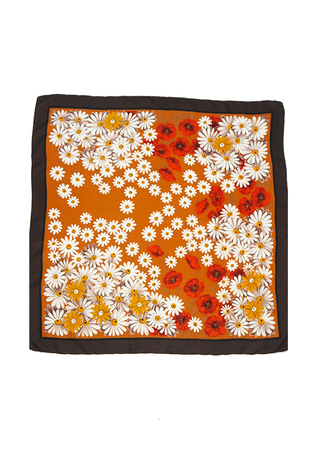 The scarf is hand turned and although there is no fabric label, has a silk/satin feel to it. 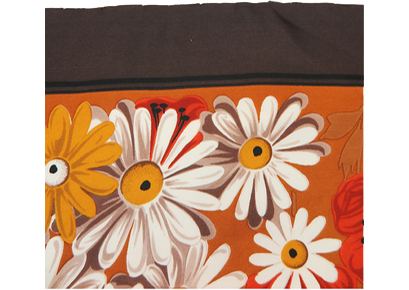 There is a very small pin hole within the brown border of the scarf which is barely visible. The scarf is otherwise in great condition.